A parish council is a civil local authority found in England and is the lowest, or first, tier of local government. They are elected corporate bodies, have variable tax raising powers, and are responsible for areas known as civil parishes, serving in total over 16 million people. A parish council serving a town may be called a town council, and a parish council serving a city is styled a city council; these bodies have the same powers, duties and status as a parish council. Parish and town councils vary enormously in size, activities and circumstances, representing populations ranging from less than 100 (small rural hamlets) to up to 70,000 (Weston-Super-Mare Town Council). Most of them are small: around 80% represent populations of less than 2,500. Parish councils have the power to precept (tax) their residents to support their operations and to carry out local projects. Although there is no limit to the amount that can be precepted, the money can only be raised for a limited number of purposes, defined in the 1894 Act and subsequent legislation. The “General Power of Competence” is a new power awarded in 2012 to eligible councils, and is described later in this article. The exercise of powers is at the discretion of the council, but they are legally obliged to exercise duties. As an indication of the scale of Chipping Warden and Edgcote’s precept, for 2016/17 it has been set at £7,500 – less than £20 per resident. This is clearly identified on the council tax statement which each householder receives. The central function of the Council, the making of local decisions and policy relevant to the public interest of the parish, is performed at the meetings of the Council. A Parish Council must hold an annual meeting and at least three other meetings in a year; however monthly meetings are the most common, and some larger councils have fortnightly meetings. An extraordinary meeting may be called at any time by the chairman or members, but due notice must be given. A Council can form committees with delegated powers for specific purposes; however, these must adhere to the protocols for public attendance, minute-taking and notice of meetings that apply to the main Council. A committee may form sub-committees. A Council can also appoint advisory groups which are exempt from these constraints to give flexibility, but these have no delegated powers and cannot make financial decisions. Such groups may contain members who are not councillors. A Parish Council consists of the chairman and not fewer than five elected Parish councillors, and a quorum of the main council committee is at least one-third of the members, or three members, whichever is the greater. Every meeting is open to the public, who are encouraged to attend, except for those items where the Council formally resolves to exclude the public and press on the grounds that publicity would be prejudicial to the public interest. This would have to be due to the confidential nature of the business. This latter also applies to any sub-committee of the Parish Council. Notice of meetings must be given at least three clear days before and be displayed in a “noticeable place” in the Parish, giving time, date and venue. A summons to attend the meeting is also issued, specifying the agenda, to every member of the Council. Items not on the agenda cannot be formally debated or resolved. Items brought up by the attendance of the general public or in correspondence can be discussed, but formal resolutions on these musts be deferred to the next meeting so that due notice can be given. The minutes of the meeting are taken by the Clerk, and are ratified at the next meeting of the council. They must also be displayed in a noticeable place in the parish, and also displayed on the internet. Procedures for the conduct of meetings are set out in Schedule 12 of the Local Government Act 1972, and where this is not overridden by legislation, by the standing orders of the Council. Most adopt the National Association of Local Councils (NALC) model standing orders. The administration of the Council is managed by the Parish Clerk, who is a paid employee acting in a combined statutory role as secretary and treasurer of the council. They may be full-time or part-time, depending on the amount of council business, and large Parish Councils may require more than one official for these tasks, in which case they are a group led by the Clerk. 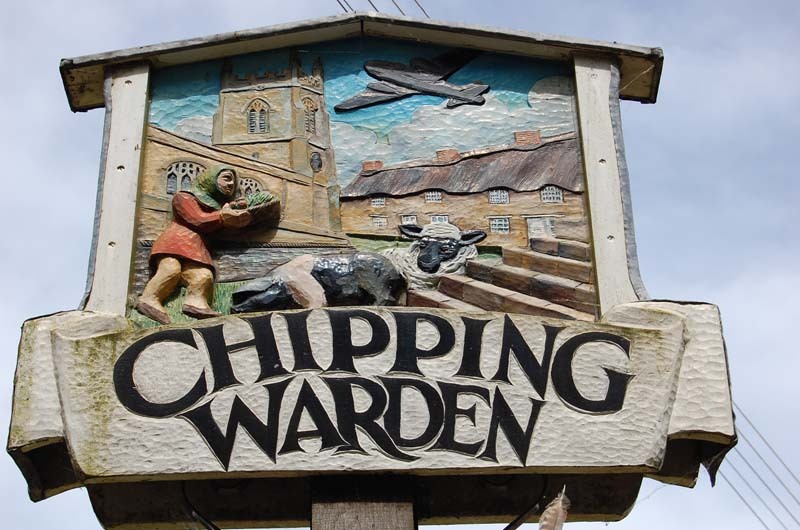 Currently (2017), the Chipping Warden and Edgcote Parish Clerk is employed for 17 hours per month. The necessary financial monitoring and reporting are the Clerk’s responsibility, and in this role the clerk is known as the “Responsible Financial Officer” (RFO) of the Council. The clerk is also the “Proper Officer” of the Council. They “enact” (cause to happen) the decisions of the Council, and they receive official correspondence and issue correspondence on the instructions of the Council. The Clerk also prepares agendas for meetings of the Council and its committees, gives notice of these to the Council members and the public, and records and publishes the minutes of these meetings. They are the formal point of contact with the public, and are a source of information for the public about the Council’s activities. The Clerk also provides procedural guidance for the Council itself, and ensures that statutory and other provisions governing or affecting the running of the Council are observed. The Clerk cannot be a member of the Council.